Like all else at Project Why the boarding school project began as an answer to a deafening why. In the summer of 2006 Utpal found he was without a home as his mother had to be admitted in a rehab urgently and the ‘father’ stole all he could from their minute home and vanished. Utpal needed a safe house and the answer was a good boarding school. He joined school at the tender age of 4. Four years later a potential donor wanted to give some children a better chance in life and requested us to select 4 children who could also be sent to the same school. 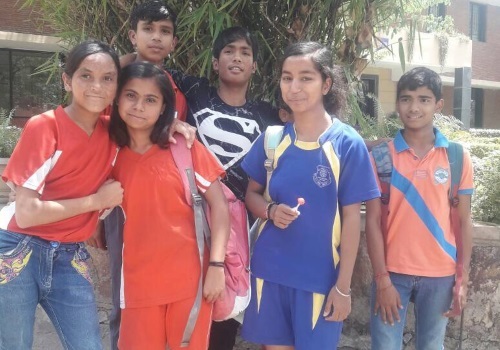 Vicky, Babli, Nikhil and Aditya were the chosen ones and after spending a year in a residential facility we ran in order to groom them for the school, they joined Utpal. It needs be said that the dream of having children from the poorest of homes rub shoulders with children from more privileged ones was a dream dear to us and this was a God sent opportunity. Many detractors felt that such deprived children should not be sent to better schools, as if these were hallowed ground, but we were confident that these children would prove that if given a chance, they would shine and do us proud. Later they were joined by Meher, Manisha and Yash. Nikhil left the programme after class VI. The first batch will graduate in 2019 and we wait with bated breath for that day to dawn.